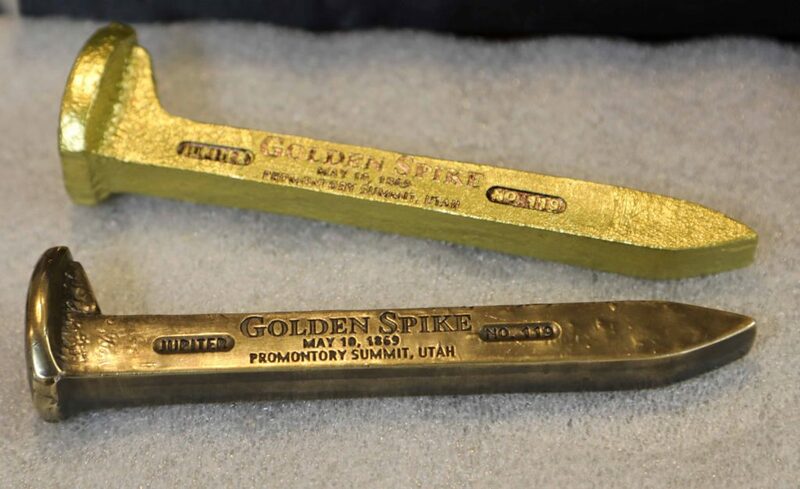 On May 10, 1869 the celebratory Golden Spike was driven into the ground to celebrate the marriage of rails for the first transcontinental railway at Promontory Summit, Utah Territory! This event would change the future of the United States! 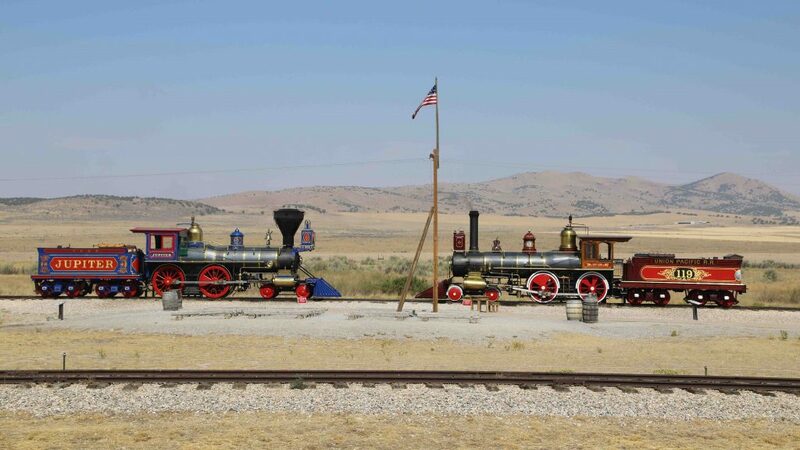 Golden Spike National Historic Site celebrates this monumental event and showcases the work that went into making it happen. 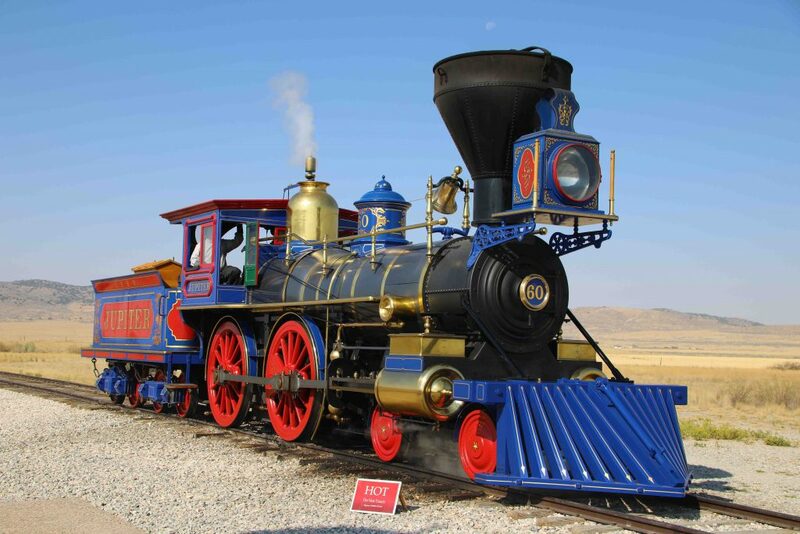 The transcontinental railroad drastically shortened the time it took for people to travel from the east coast to California allowing for rapid expansion across the country. 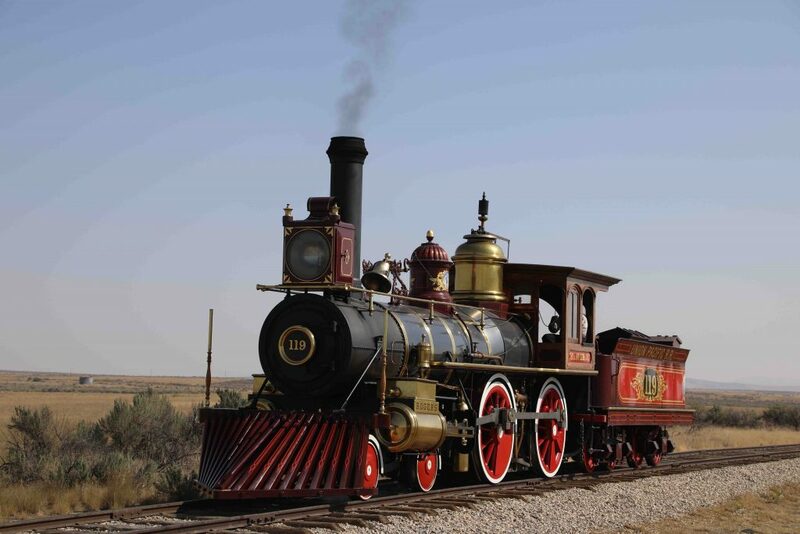 You will want to give yourself plenty of time to explore Golden Spike NHS! Our biggest tip is to schedule your visit around the locomotive engines arriving or leaving the visitor center. We were in awe as the Jupitor Locomotive and 119 Locomotive arrived at the park. It is hard to describe the feeling of hearing the locomotives arriving. 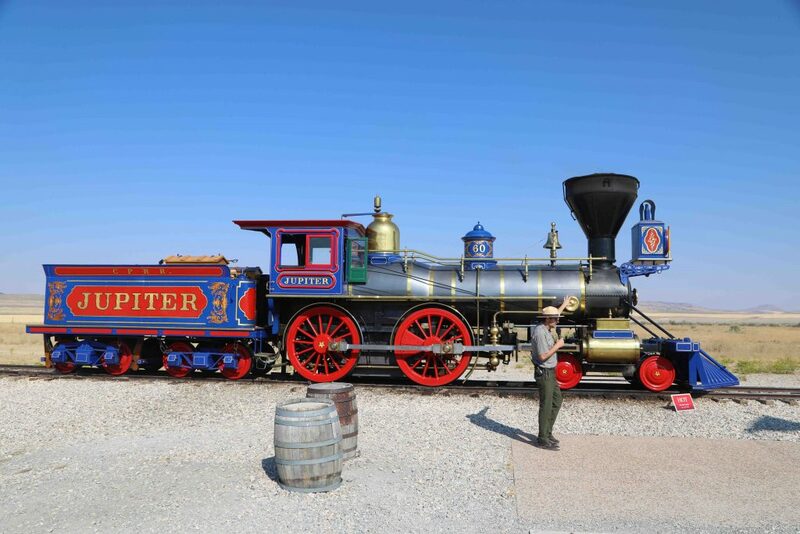 The Park Rangers do an amazing job detailing what it took to build the historic transcontinental railroad that was completed at the park site. One cool thing we learned is the paintings on the 119 Locomotive were done by one of Disneys first animators. 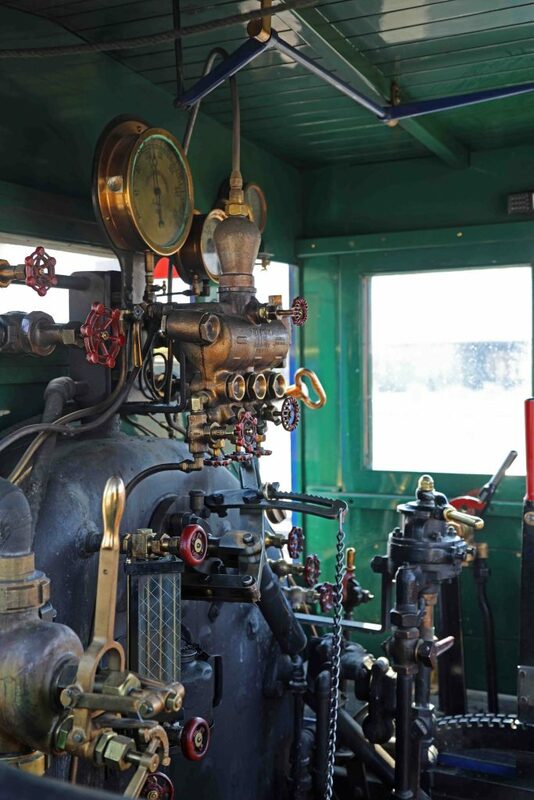 The Replica Jupitor and 119 Locomotives are amazing and you will be amazed at the details that are on display. Tour the Engine House, home to the Jupiter and No. 119. 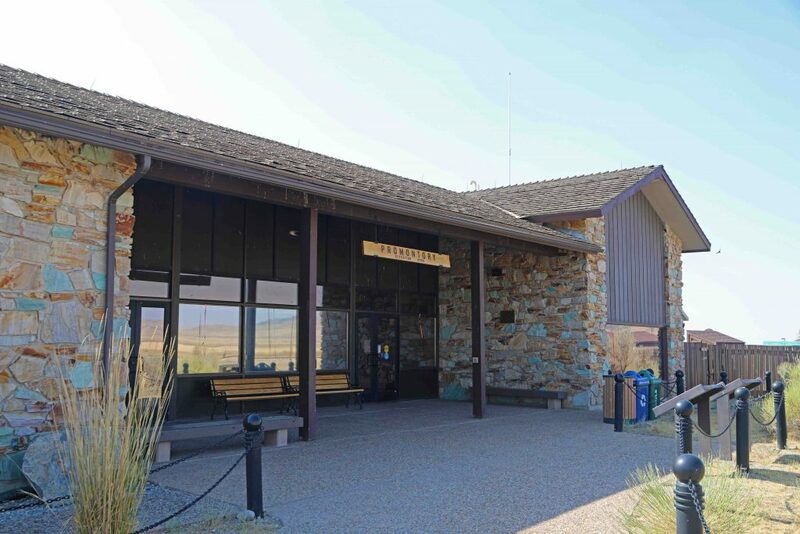 The Golden Spike Visitor Center is filled with a wealth of information! You will want to give yourself time to watch one of the movies, check out the displays and shop in the store. If you are a train buff you will need to be prepared because they have a lot of really cool train items in the gift store!!! Leave room in your suitcase if you collect train memorabilia or fun train items. The Golden Spike Junior Ranger program is a great way to learn more about the park and the importance of the train rails joining together. The program will take an average of 30 to 90 minutes to complete depending on the age of the participant. 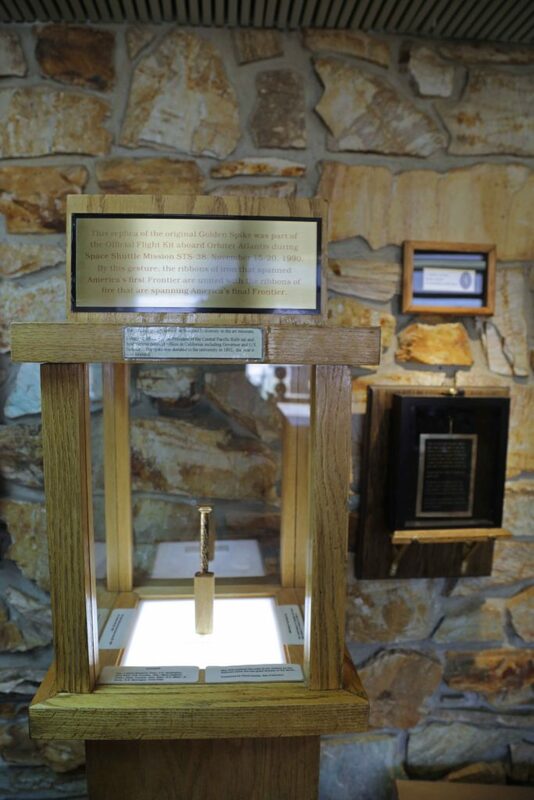 The answers can be found in the visitor center displays and also in the park brochure. This was the highlight of our visit to Golden Spike NHS!!!! You want to make sure that you visit the park in the morning when the locomotives arrive or later in the afternoon when they depart. It is beyond cool to hear them running! I didn’t realize before this demonstration how much the rails vibrate and you can hear the locomotives coming towards you. Demonstrations run daily from May 1st through mid-October, except on boiler wash days. Demonstration runs start at 10:00 am with the arrival of the Jupiter locomotive followed by the arrival of the No. 119 locomotive at 10:30 am. Both locomotives do a demonstration run at 1:00 pm and then depart for the Engine House at 4:00 pm (No. 119) and 4:30 pm (Jupiter). There are 8 days during the summer that the boilers are washed so make sure and confirm the locomotives are running on the day you plan to visit. From Memorial Day to Labor Day a dedicated team of volunteers performs the reenactment of the Driving of the Last Spike Site ceremony at the park. Summer reenactments are on Saturday’s and Holidays and take place at 11 am and 1 pm (following 1:00 pm Locomotive Demonstration). From mid-October to late April, the Jupiter and No. 119 locomotives are maintained in the Engine House. Tours are typically offered Saturday and Sunday from mid-October until late April. The Big Fill Loop Trail showcases the building techniques used by the railroads. Make sure and be prepared for the sun and heat on this hike. There is no shade or water available on the trail. Ranger led hikes are offered on this trail on Sunday afternoons and sometimes Friday afternoons. Call the visitor center at 435-471-2209 ext 429 to inquire about availability. You can drive the transcontinental railroad grade and see just what workers were building in 1869. The East Auto Tour is two miles long and allows visitors to see cuts, fills, and culverts. 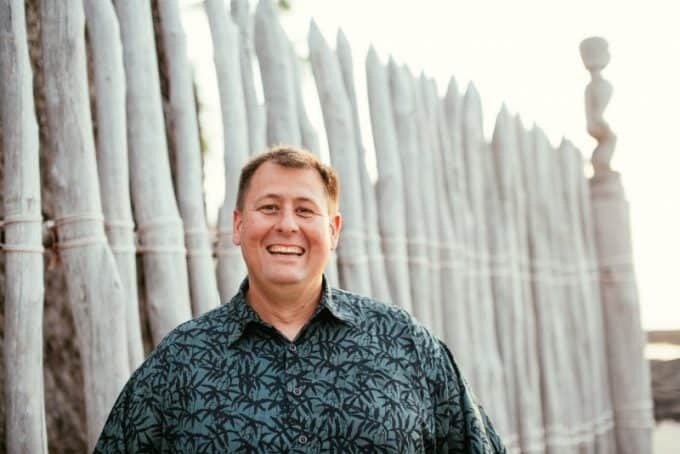 The West Auto Tour is seven miles long and is home to the “10 Miles of Track, Laid in one Day” sign where the Central Pacific Railroad built 10 miles and 56 feet of track on April 28th, 1869. Make sure and check with the visitor center for current road conditions. Auto Tours are not approved for RV’s or vehicles pulling a trailer. Gas and other services are not available within 27 miles of the park! Be prepared with a full tank of gas, snacks and check the local weather. Bring food and drinks with you. The visitor center only has water and a few snack foods for purchase. From Interstate 15 headed north, take exit 365 via Utah State Highway 13/83; approximately 32 miles west of Brigham City. From Interstate 15 headed south, take exit 40 via Utah State Highway 102 to highway 83; approximately 32 miles west of Tremonton. From Interstate 84 headed south, take exit 26 via Utah State Highway 83; approximately 22 miles from Howell. 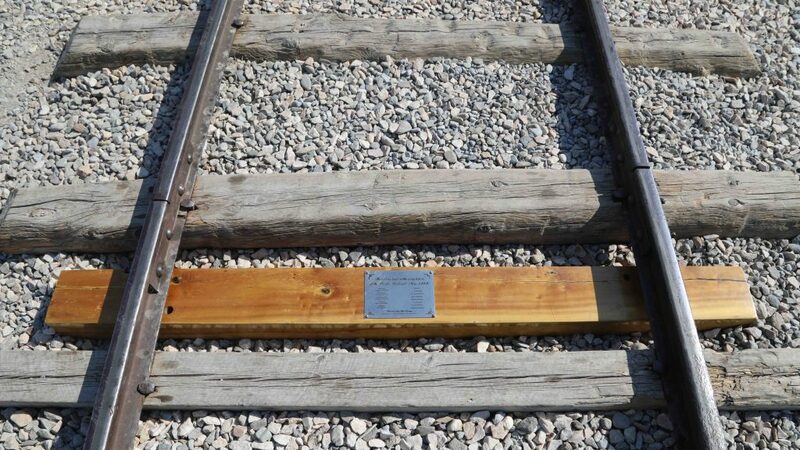 GPS Coordinates Golden Spike National Historic Site is located at latitude-longitude coordinates of N 41.62048 and W -112.54747. 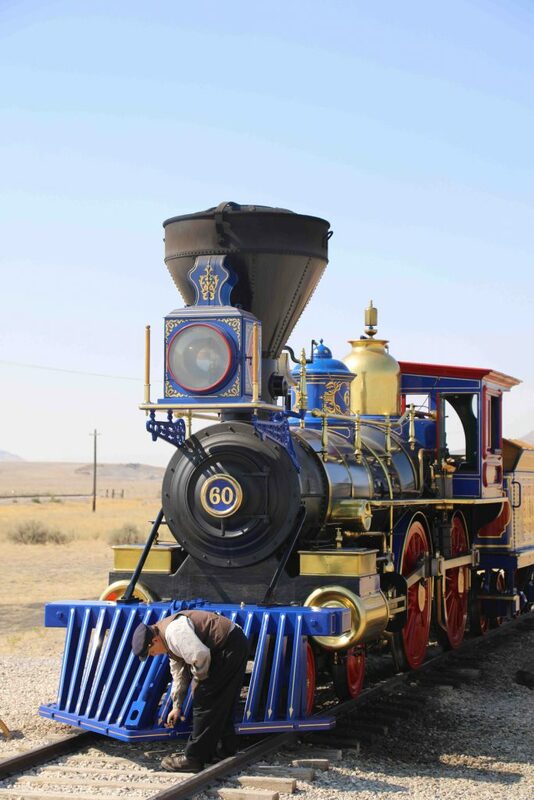 Golden Spike National Historic Site is in the Mountain Time Zone and honors Daylight Savings Time. Call the visitor center at 435-471-2209 x429 for operation schedule and tour availability. 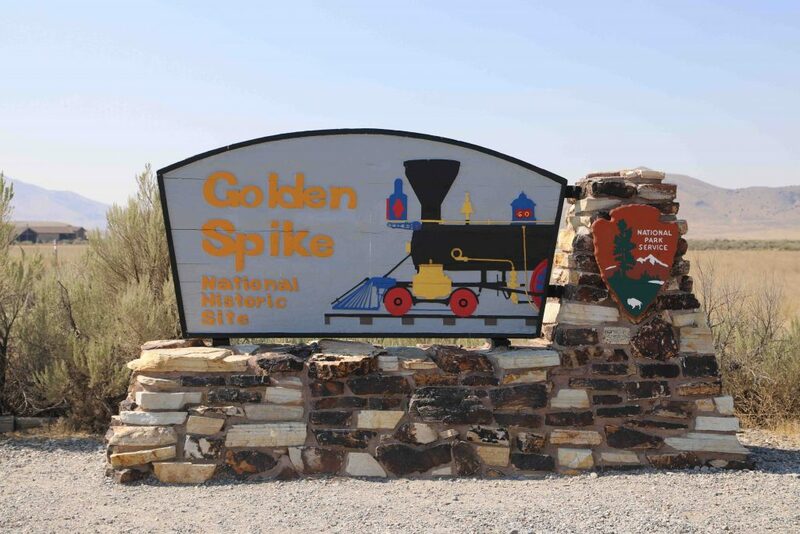 Entrance fees to Golden Spike NHS are $10 per vehicle and $10 per motorcycle. 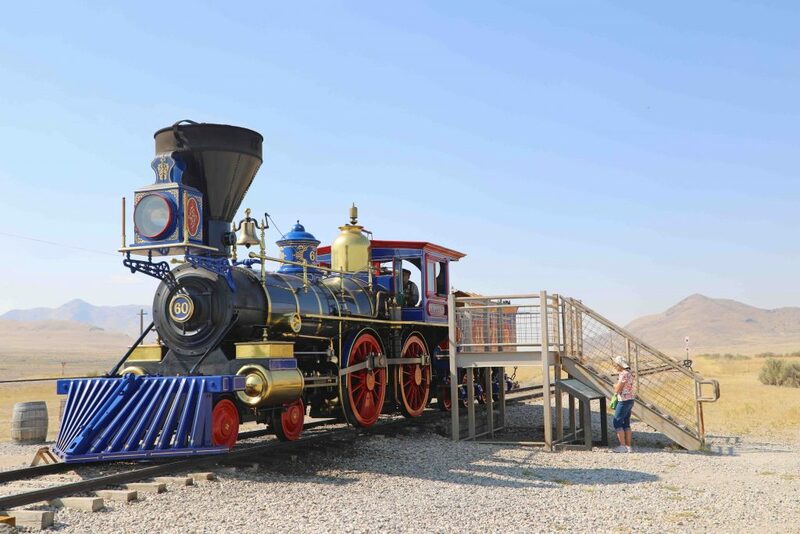 The Golden Spike Annual Park Pass is $20.